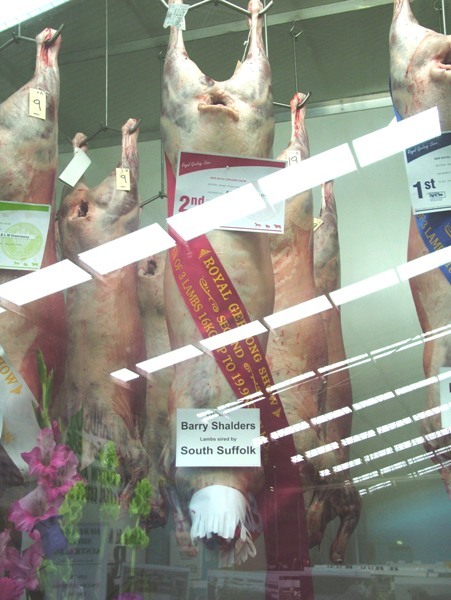 Barry's 16 -19.9 kg section South Suffolk sired lambs. 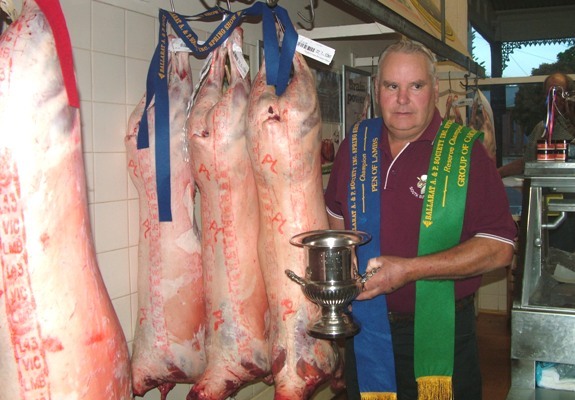 In front of the Champion group of Carcases of the competition. 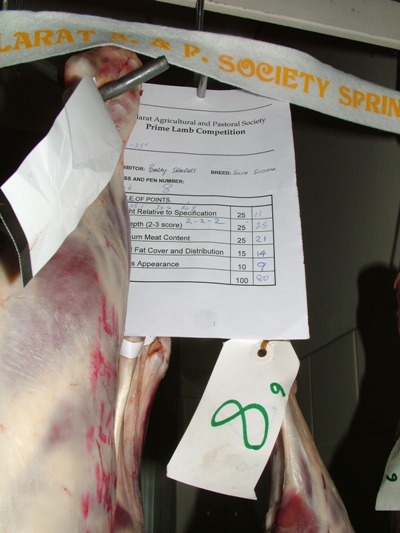 the 1st Place ribbon for the pen of three 18-22kg lambs (Lightweights) on Hook. 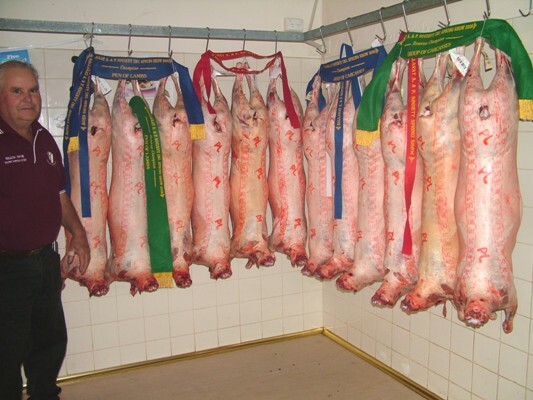 This pen of lambs were judged 2nd placing live. 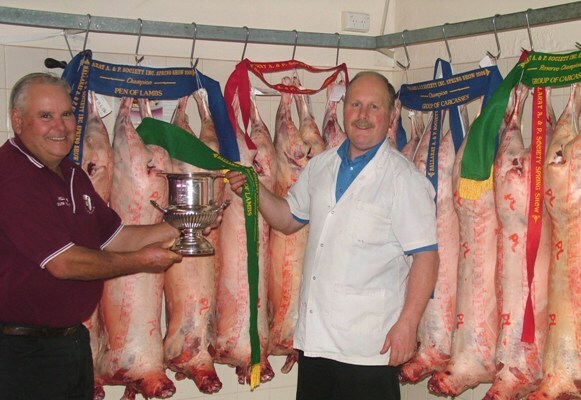 1st Place Win on Hoof & 3rd placing on Hook with the same lambs 19-22kg section, Medium weights. 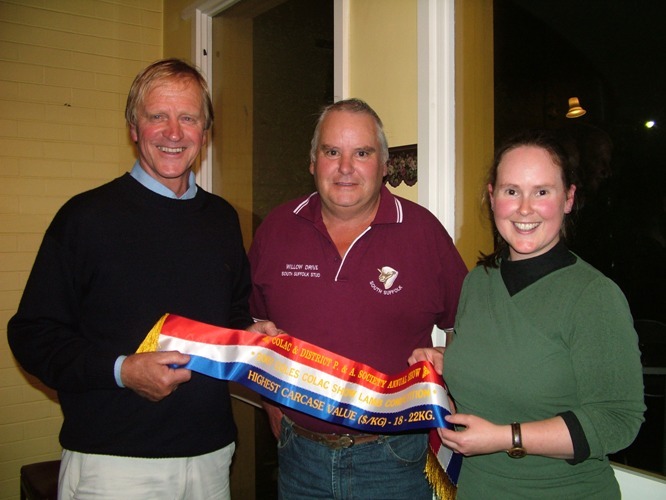 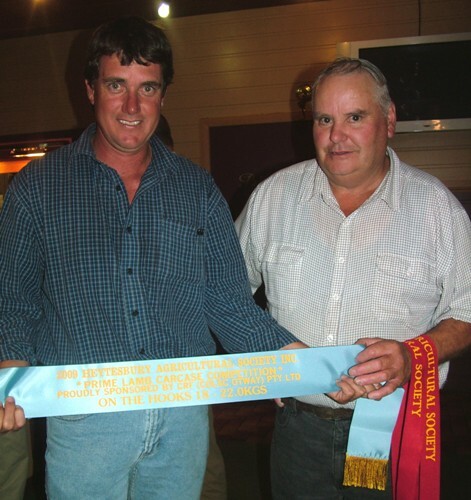 Colac CRF(Colac Otway) P/Ltd reps awarding Barry with the sash for the Heytesbury Carcase Competition Win. 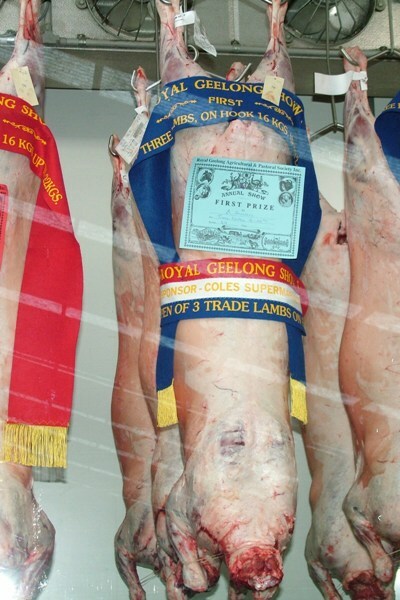 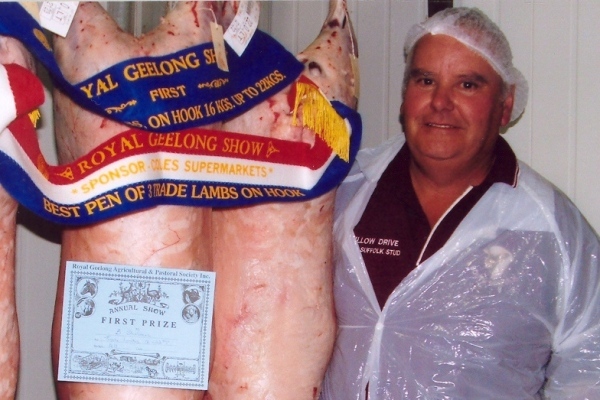 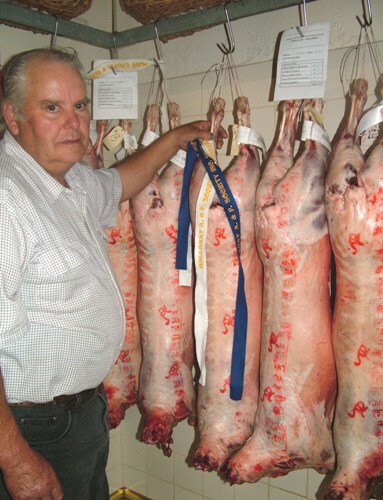 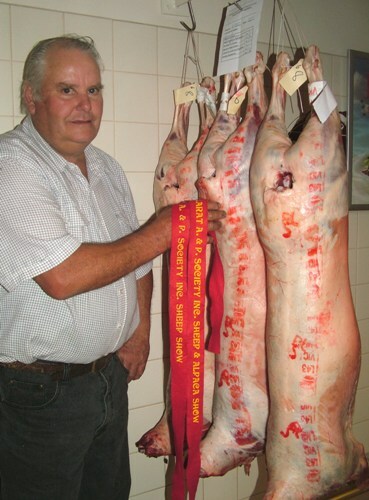 the 18.4 kg lamb had a wholesale yield of 93.1 % and a wholesale value of 490.2 cents. 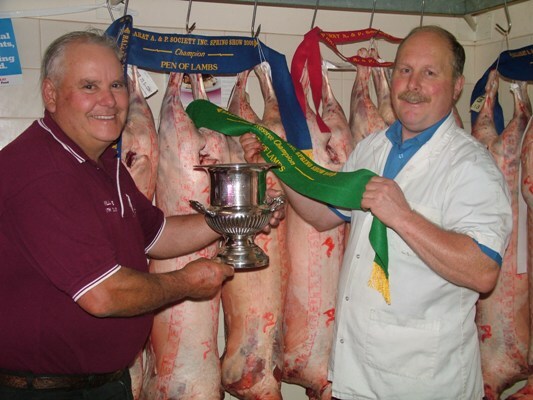 making history at the carcase competition as no one has ever before won both these using the same lambs. 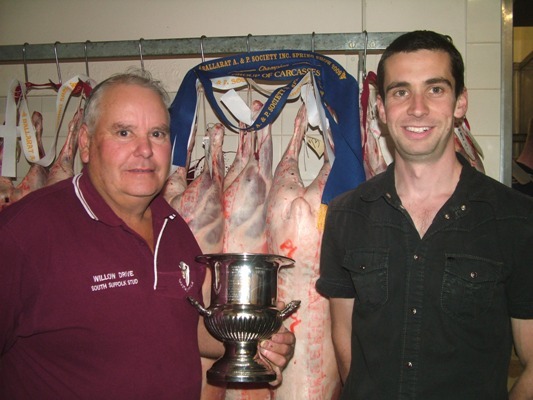 with a score 80 points (lost 8points for not being in the weight range! 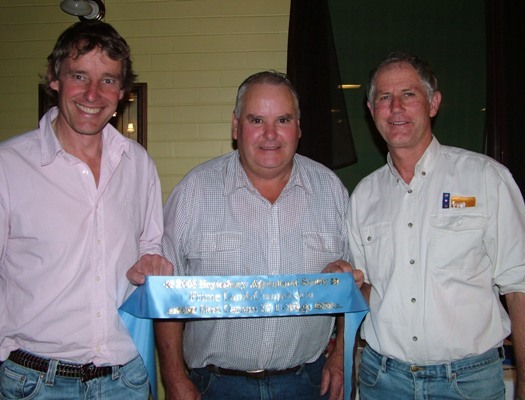 but still got third placing). 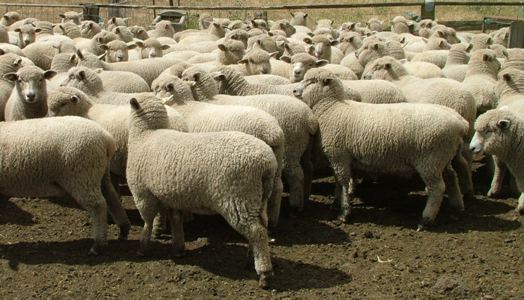 South Suffolk sired English Lester/Merino ewes.